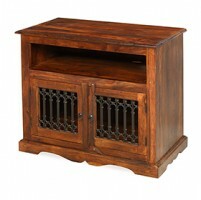 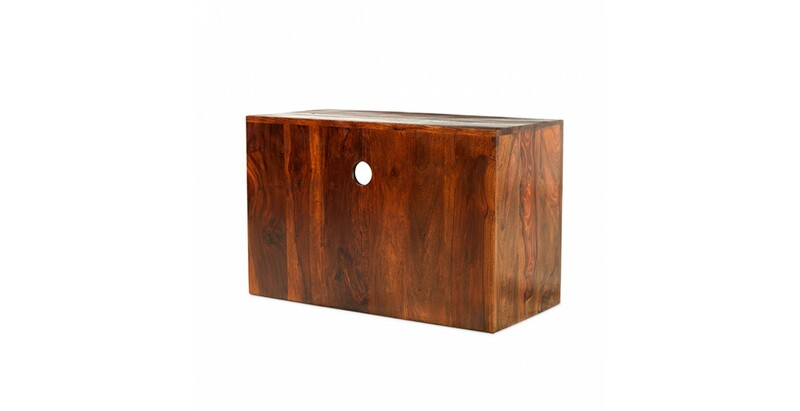 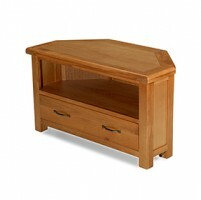 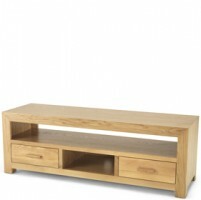 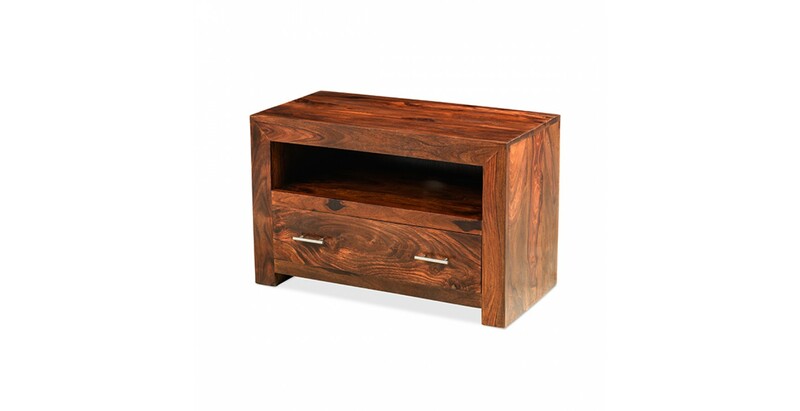 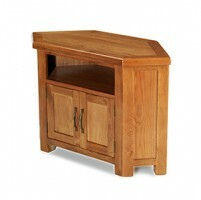 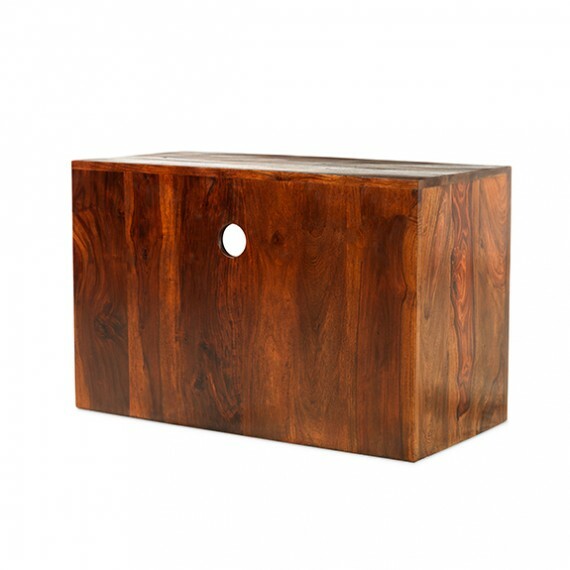 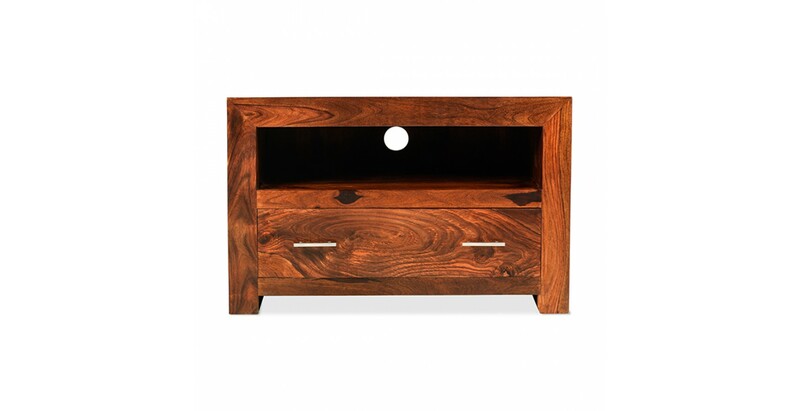 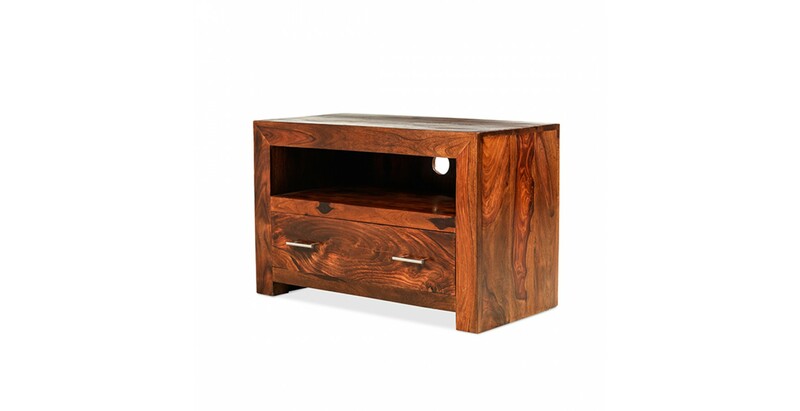 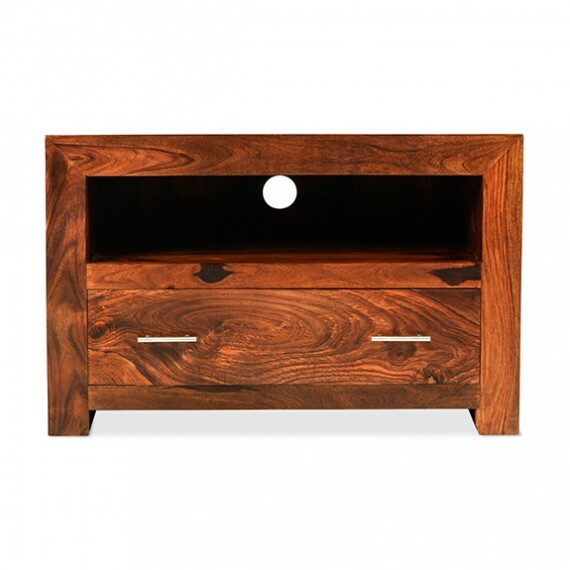 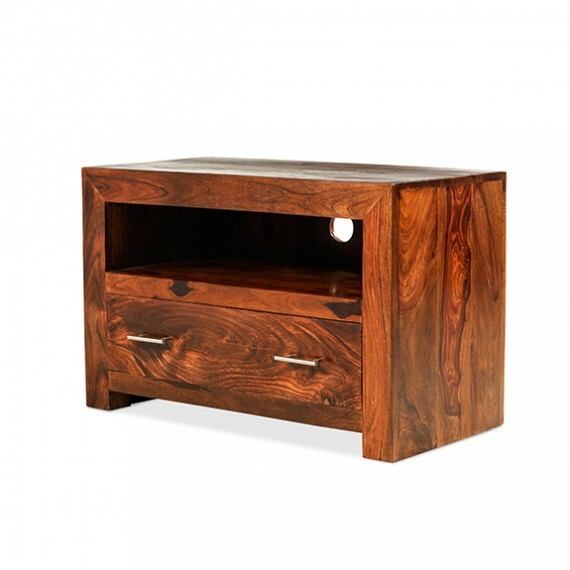 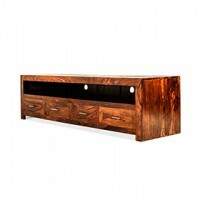 Talented artisans have crafted this TV stand by hand from sheesham wood, with its unique grain and dark tones brought to the fore by a Wax Lacquer Finish. 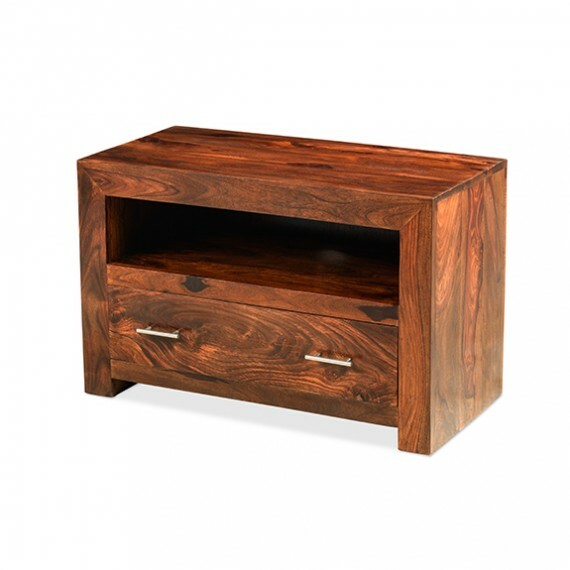 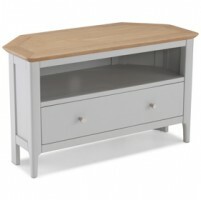 Its clean lines and sharp angles will look great in any contemporary setting, particularly as part of an overall look, and its compact shape uses space well but is still able to accommodate a decently wide TV on top. 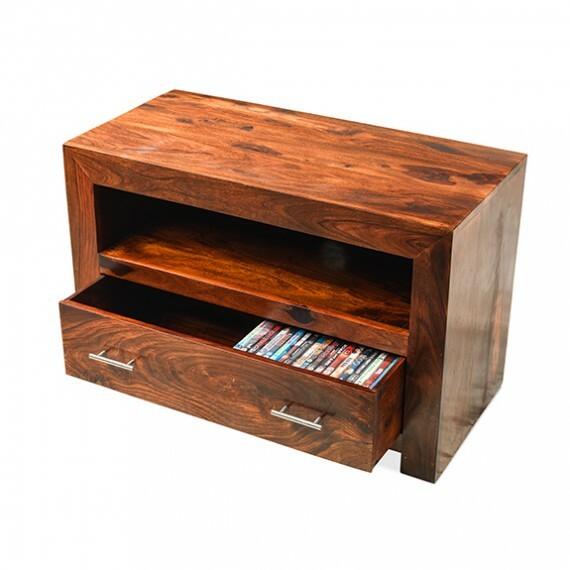 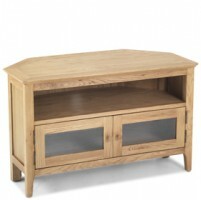 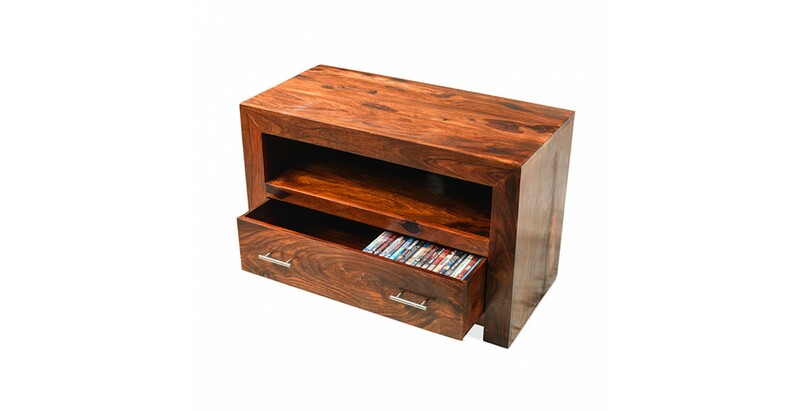 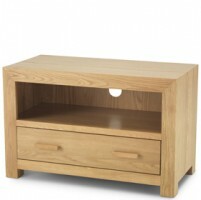 The shelf will look after your digital receiver and a hole in the back will carry cables away out of sight, while the deep drawer will keep all your DVDS or keep spare cables, batteries, remotes and other bits and bobs organised.